I am working on a "storytelling" project for Toastmasters. I have chosen "John Henry" as my folktale. It is a *great* story, legend, folktale, and biography. It is about America and the incrediblely hard work that we do as Americans. We are ready for the Llamas today!. Our farm is being inspected and then they will arrive. It is Exciting!. 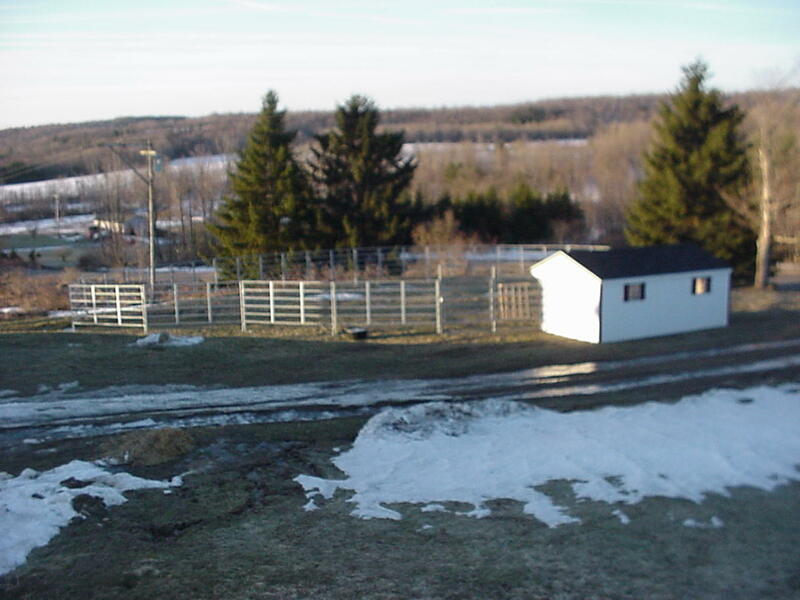 The picture shows our llama house and their paddock. Over the summer we will have more fence put in, but this should be fine for now.